It is no surprise that Alabama colleges and universities are reaching distance learners both within state boundaries and nationwide. The state education system cultivates a culture of online learning through ACCESS Virtual Learning. The Alabama Connecting Classrooms, Educators, and Students Statewide program offers Alabama public school students opportunities to attend virtual classes online. This initiative provides access to courses and advanced placement electives otherwise unavailable to many. This appreciation for distance learning continues into upper education, with colleges and universities across the state offering a wealth of online programs. 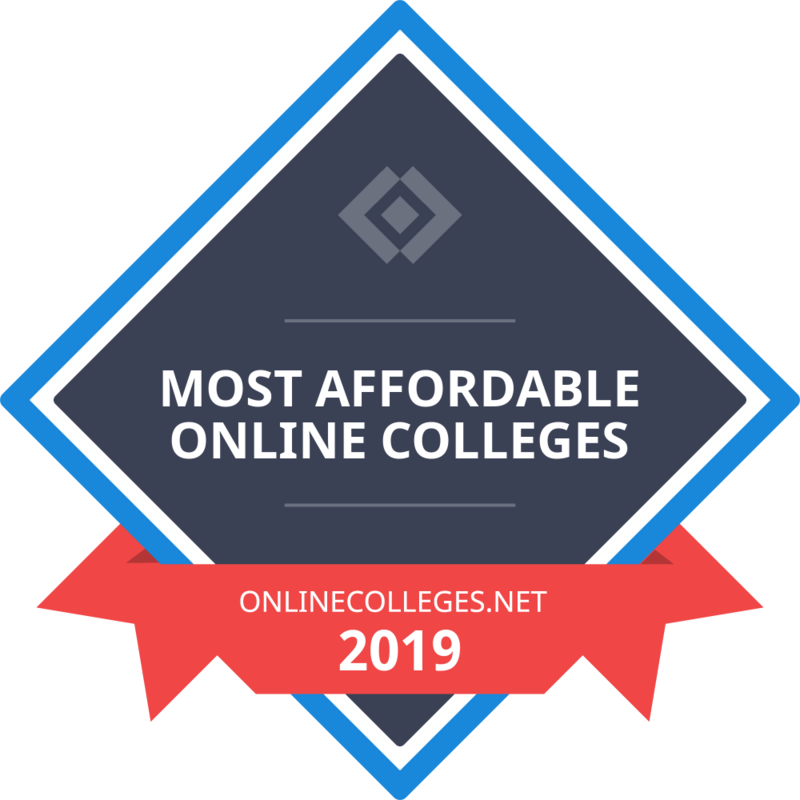 But before we look at the very best online colleges in Alabama, let's start with the state of higher education and online education in particular in Alabama today. According to the National Center for Education Statistics (NCES), Alabama is home to 77 higher education institutions that grant degrees, and including online colleges in Alabama, 304,052 students attend college in the state. Of those schools, 39 are public, and among the public institutions, 14 grant four-year degrees and 25 are community colleges. The Heart of Dixie also has 21 private nonprofit higher-learning institutions. The final 17 are for-profit organizations. Each of Alabama’s schools charges different tuition rates and fees. However, the averages can help prospective students think about their budgets. The College Board collects information from public schools and finds averages for each state. For the 2018-19 school year, the average in-state public, two-year college charged $4,760 for tuition and fees. In-state students at public, four-year universities paid an average $10,870 per year for these expenses. Cheap online colleges in Alabama charge much lower rates: The University of Alabama charges just under the mean for in-state students at $10,780 per year. Learners from other states pay about $29,230 annually for tuition and fees. Degree candidates often do not cover these fees on their own or with only their family contributions. In the 2015-16 school year, the Alabama Student Assistance Program awarded $2,597,122 to 3,980 learners who demonstrated financial need. Another 524 students got $675,105 from other need-based grants. Degree candidates do not always need to show financial need to receive aid. In the same year, the state awarded $4,276,115 to more than 5,000 students without considering financial need. 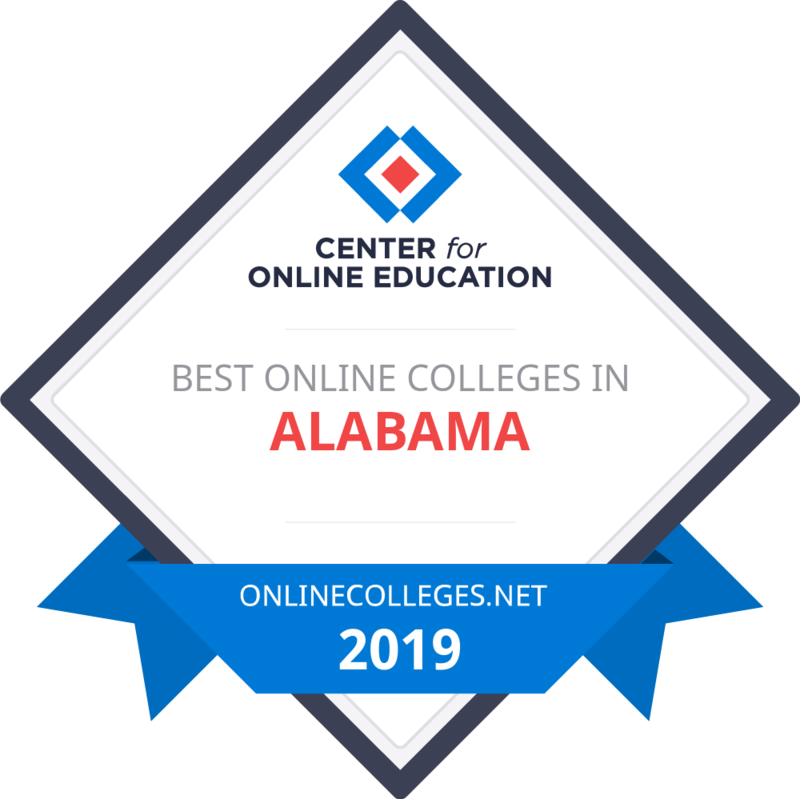 Students who want the Alabama higher learning experience with the convenience of distance learning can choose among the best online colleges in Alabama. A recent online learning survey found that 111,146 of the state’s postsecondary, degree-seeking students took at least one class online in the 2015-16 school year. This figure accounts for 36.7% of the student body, and the percentage is trending upward. 58,262 of these learners, or 19.2% of all higher education students in Alabama, took classes exclusively online. 37,749 of these online-only degree candidates were in graduate-level programs. Since learners can take online courses from anywhere, a significant number of online-only students came from outside of Alabama; 25,621 exclusively online learners were nonresidents, which is 44% of all of such students. In total, the percentage of students who take some courses on-campus fell 3.1% from 2012 to 2015. This decline in on-campus enrollment is much faster than the national 1.7% decrease. It’s clear that online colleges in Alabama are not just trendy; they are here to stay. Some schools in Alabama have unique programs that few universities offer. Luckily, learners who want to attend these programs do not have to be in-state residents to afford the tuition. Alabama is part of the Southern Regional Education Board (SREB). As such, it participates with 15 other states in the Academic Common Market (ACM). This market helps students from each of the member states can attend programs in other member states. The other SREB states are Arkansas, Delaware, Florida, Georgia, Kentucky, Louisiana, Maryland, Mississippi, North Carolina, Oklahoma, South Carolina, Tennessee, Texas, Virginia, and West Virginia. Students from any of these states can attend any of Alabama’s approved programs and pay in-state tuition. Between all of the states, the SREB supports at least 1,900 plans for the ACM. However, students pursuing their first professional degrees, such as law or medical doctorates, do not qualify for the ACM. The ACM Electronic Campus (ACM/EC) plan brings the basic ideas of the ACM to accredited online colleges in Alabama. Neither the ACM or ACM/EC have additional merit requirements. Instead, students choose an approved program from the SREB website. They must be accepted by the university and program based on the school’s needs. Applicants must also meet residency requirements for one of the member states. Below, you will find our rankings of the best online four-year programs in Alabama. Our profiles look at how schools approach online education and then list out their services for distance students and their popular, fully online degrees. After reviewing the best online schools in AL, explore our state resources, like a database of every college and university in Alabama or our index of popular in-state scholarships. Founded in 1820, UA is the oldest and largest public higher education institution in Alabama. The university enrolls over 38,500 students and offers certificates and degrees in 117 fields. UA's distance education system, Bama By Distance, delivers asynchronous and live online classes through Blackboard Learn. Students can pick from 15 bachelor's, 35 master's, and 18 postgraduate programs. The undergraduate catalog consists of such bachelor's degrees as commerce and business administration, food and nutrition, hospitality management, and human environmental sciences. Like other accredited online colleges in Alabama, UA operates a conventional RN-to-BSN track and an accelerated RN-to-MSN pathway. Both are completion programs, enabling licensed nurses to earn their credentials through 25-credit and 50-credit degree plans, respectively. Nontraditional students may opt for a bachelor's in interdisciplinary studies through UA's New College LifeTrack initiative. This program allows degree candidates to earn transfer credits for previous academic work, career experience, and military training. In lieu of a major, candidates pick an area of depth study, with choices in art and society, community studies, leadership studies, literature, science, and technology and culture. At the post-baccalaureate level, distance learners enjoy offerings like operations management, journalism, mechanical engineering, and social work. UA provides ample education programs, including master's degrees in educational leadership and higher education administration. The university also offers education specialist and doctor of education degrees in 12 areas, such as an Ed.D. in instructional leadership with a concentration in nurse education. This 73-credit hybrid program combines online coursework with four on-campus meetings each semester, preparing students for careers as college faculty and researchers. Admission requirements vary by subject and program level. In general, undergraduate applicants need a minimum 2.5 GPA (2.0 for transfers), while graduate applicants need at least a 3.0. Distance learners pay tuition based on degree level and enjoy scholarship opportunities, including awards for returning learners. Established in 1887, Troy is a comprehensive public university offering over 70 certificates and degrees. TROY Online provides undergraduate, graduate, and continuing education programs. High school students benefit from the accelerate dual enrollment option, which offers individual online classes in accelerated sessions and 50% tuition discounts. The program accepts sophomore, junior, and senior students with a minimum 3.0 GPA and adequate SAT/ACT scores. At the undergraduate level, TROY Online operates an associate degree in general education. Distance learners choose from such bachelor's programs as human resources management, criminal justice, applied computer science, global business, and management accounting. Troy stands apart from other cheap online colleges in Alabama with its interpreter training program. Through a 120-credit bachelor of science curriculum, students develop the skills to work as interpreters in mental health; community service; and legal, medical, and educational fields. In lieu of the conventional plan, experienced interpreters may opt for the dual track master mentor program, resulting in degree and advanced certification. Troy's graduate offerings center on education and business, with education degrees including a master's in early childhood education, gifted education, teacher leader, and instructional leadership and administration. Students may also pursue specialized certificates and degrees in adult education. Business programs include sports management at the master's and Ph.D. level, public administration, international relations, and talent development and training. Troy facilitates distance learning through Blackboard and Canvas, offering nine-week asynchronous classes. First-time undergraduate applicants must have a minimum 2.0 GPA and at least a score of 20 on the ACT or 1030 on the SAT. Postbaccalaureate admission requirements differ by program, but generally include a minimum 3.0 GPA. Distance learners enjoy affordable tuition and financial aid, including merit-based transfer scholarships. UAB dates back to 1936 when it was formed as an academic extension of the flagship UA campus. The university became fully autonomous in 1969 and currently enrolls approximately 22,000 students. As one of the best online colleges in Alabama, UAB emphasizes scientific research and academic innovation, providing 12 bachelor's, 50 master's, and six doctoral programs. Distance learners also benefit from continuing education opportunities, including an on-demand safety training certificate program endorsed by the Voluntary Protection Programs Participants’ Association. Through six classes on topics like worksite analyses and hazard identification and control, students develop the leadership skills needed to pursue advanced occupational health positions. The undergraduate academic catalog consists of four-year programs in accounting, criminal justice, information systems, marketing, psychology, and healthcare management. UAB also offers a unique bachelor of science in industrial distribution, with tracks in engineering or medical equipment and supplies. Through multidisciplinary coursework, students learn to maintain goods and services by implementing supply chain management best practices. For nursing students, UAB delivers hybrid RN programs leading to a BSN or MSN. Admission requirements include an unencumbered state license and minimum GPA, which is 2.5 for undergraduates and 3.0 for graduate applicants. Additional graduate programs include sociology, management information systems, school psychometry, nutrition sciences, and engineering. The program also boasts a nursing degree with 20 concentrations, including primary care, acute care, advanced roles, and subspecialties. UAB also delivers master of public health programs, including dual/coordinated degree tracks. Here, students can earn an MPH and an additional degree in such areas as veterinary medicine, biomedical science, and social work. UAB uses a holistic evaluation process and considers candidates individually. The average applicant boasts a 3.61 GPA. Online students enjoy substantial financial assistance, including scholarships based on academic achievement, field of study, and military status. Based in Montgomery, Amridge was founded in 1967 as a theological seminary. Today, the university enrolls over 700 students and delivers comprehensive on-campus and distance education. The online degree catalog consists of nine associate, eight bachelor's, 14 master's, and 10 doctoral programs. Distance learners take asynchronous and live classes through Canvas. Committed to educational equitability, Amridge operates a laptop program that provides students with low-cost systems, software, and technological support. At the associate level, Amridge provides programs in web development, human development, and ministry. Students may also pursue an associate of arts in liberal studies, a 64-credit program built on general education topics. Learners personalize the degree plan through open electives and classes in their concentration. Amridge offers four-year programs in such areas as criminal justice, biblical studies, management, and human resources leadership. Students may also pursue a bachelor of science in information systems management, preparing for careers like information security analyst, computer network architect, and software applications developer. Although students must earn 128 credits to graduate, they only need to take 40 hours at Amridge, providing ample transfer opportunities for working professionals. Coursework includes management intervention, microcomputer applications, open source business systems, and ecommerce. The graduate catalog consists of degrees in business administration, professional counseling, and marriage and family therapy. Amridge delivers master's programs in old/new testament studies, Christian education, ministry, and ministerial leadership. Students can also find theological programs at the doctoral level. Amridge sets itself apart from other accredited online colleges in Alabama by offering a doctor of education in higher education administration. This program prepares students for executive positions in postsecondary institutions through a 51-credit curriculum that focuses on research, strategic planning, and program development. Full-time students may earn the degree in four years. Amridge prices tuition based on program level and enrollment status. All students enjoy access to financial aid, including scholarships for first-time students, transfers, and accelerated program candidates. The school also provides awards for law enforcement and first responders. Established in 1856, Auburn is one of two public flagship universities in Alabama. The institution supports over 30,000 students annually and regularly receives accolades for its research initiatives, academic offerings, and community engagement. The school's distance education system, Auburn Online, delivers degrees through Blackboard. Students can also access professional development and personal enrichment opportunities. The undergraduate catalog includes individual courses in agriculture, education, human sciences, liberal arts, physical sciences, mathematics, and veterinary medicine. By combining online classes with on-campus academics, students may earn their degrees flexibly through a hybrid learning experience. For those seeking fully online programs, the university provides bachelor's degrees in accountancy, business administration, and computer science. Like other online colleges in Alabama, Auburn operates an RN-to-BSN completion track for nurses with unencumbered state licenses. The 31-credit degree plan consists of coursework in pathophysiology, health assessment, nursing informatics, and clinical prevention and population health. Admission requirements include an accredited associate degree with a minimum 2.5 GPA and designated prerequisites. Auburn offers master's degrees in real estate development, finance, information systems, and nutrition. The school also provides master's and doctoral programs in 11 engineering and 14 education fields. Finally, graduate students can pick from three agricultural degrees, including a master's in soil, water, and environmental sciences. Through classes like soil physics, nutrient management, and applied geostatistics, students cultivate the skills to pursue careers in conservation and research science. Undergraduate candidates can apply for fall, spring, or summer admission, with deadlines set for August 15, July 1, and August 15, respectively. The school evaluates first-time students holistically. Transfer applicants need to submit at least 30 college credits earned at a minimum 2.5 GPA. Graduate GPA and standardized testing requirements differ by program. Based in Marion and established in 1838, Judson is the fifth-oldest women's college in the United States. The school enrolls roughly 300 students, who benefit from small class sizes, individual faculty support, and comprehensive administrative assistance. Judson offers online bachelor's degrees through Moodle. Totaling 128 credits, degree plans consist of general education requirements, core classes for either a bachelor of arts or science track, and courses in the major and optional minor. Majors comprise English, history, religious studies, music, Spanish, criminal justice, and interdisciplinary studies. Students can prepare for careers as logistics managers and human resources officers by earning a bachelor of business administration. Courses include business law, ethical leadership, management of change, and the U.S. healthcare system. Judson provides bachelor's programs in elementary education, secondary English/language arts, and secondary general social studies. Because these degrees lead to provisional teaching certifications, Judson only accepts Alabama candidates and facilitates placements in the state exclusively. Students must complete general education coursework with a minimum 2.75 GPA before pursuing formal teacher training. Education candidates take classes within a cohort model, completing the program at the same pace as their peers and receiving guidance from a student mentor. The school offers three terms per year. Judson stands out from other cheap online colleges in Alabama by offering a bachelor of science in psychology with a concentration in equine-facilitated mental health. The curriculum includes such required classes as general psychology, abnormal behavior, and social science statistics. Students also pursue special studies in equine-assisted wellness, learning, and psychotherapy. Graduates are prepared to sit for the Professional Association of Therapeutic Horsemanship certificate examination. Applicants need a minimum 2.0 GPA and must have scored at least an 18 on the ACT or 940 on the SAT. Judson accepts up to 64 transfer credits from prior academic work. Students may also earn credits through the Advanced Placement and College-Level Examination programs. Founded in 1961, U Mobile enrolls 1,600 students every year. The school delivers undergraduate and graduate online programs through the Canvas platform. Distance learners pay affordable tuition rates based on degree level rather than residency status. All students benefit from financial aid, including merit-based scholarships for transfer students. The university also provides need-based grants for Alabama residents. U Mobile is one of the few online colleges in Alabama to offer an associate of science in general studies. Designed for nontraditional students ages 23 and older, this 60-credit program provides the general education and core prerequisites students need to transfer into a four-year program. The degree plan features four categories, each with different course options for students to choose from. U Mobile operates accelerated eight-week online classes, allowing students to earn their degree while maintaining work and family obligations. The academic catalog contains six online bachelor's programs, including psychology, communication studies, general studies, organizational leadership, and Christian leadership and ministry. U Mobile also facilitates an RN-to-BSN completion pathway. Totaling 60 credits, the curriculum includes classes such as healthcare financing/delivery systems and nursing research principles. Applicants need a minimum 2.75 GPA, an unencumbered RN license, and an American Heart Association BLS healthcare provider certification. The university accepts applications on a rolling basis and opens enrollment every semester. At the graduate level, students pick from master's programs in family nurse practitioner and education, with a generalist track or specialization in higher education leadership and policy. The university also operates an online master of business administration that combines asynchronous coursework with live weekly conferences. The 30-credit degree plan includes such classes as global business, managerial economics, and data analysis and decision modeling. Full-time students can earn an MBA in one year. Applicants must transfer 24 hours of prerequisite courses. Those with a 2.5 GPA or higher do not need to submit GMAT scores. Located in Livingston, UWA was founded in 1835 as an academy for young women. Today, the coeducational university enrolls 5,200 students and offers more than 70 undergraduate and graduate programs. UWA delivers online degrees through Blackboard Learn. The academic catalog contains nine online undergraduate degrees, in such fields as business administration, integrated marketing communications, technology, public safety, early childhood development, and interdisciplinary studies. UWA delivers bachelor of science degrees in elementary education and special education. Accredited by the Council for the Accreditation of Educator Preparation, both programs lead to teaching licensure in Alabama. On top of general and professional education components, the 127-128 degree plans contain courses like models of teaching reading and classroom behavior management. Distance learners may also earn a provincial teaching certificate and a post-master's certificate in instructional leadership. Master's degree candidates pick from 24 programs, the majority of which center on education. Options include high school education, physical education, adult continuing education, instructional leadership, and library media. UWA stands out from other online colleges in Alabama by providing a master of science in experimental psychology, an innovative program that emphasizes scholarly research and its application to industry. The curriculum comprises 36-57 credits and allows students to pursue generalist training or concentrations in clinical psychology or health and sports psychology. Each student receives one-on-one mentoring from a faculty member. Through accelerated eight-week classes, degree candidates can finish the program in one year. UWA offers an online doctor of education in rural education for licensed professionals seeking executive positions or roles as college faculty and researchers. Totaling 60-66 credits, the degree plan consists of coursework in professional development, teaching and learning, organizational change and leadership, and an applied dissertation. Applicants need a master of education with a minimum 3.0 GPA. UWA accepts up to 24 transfer credits. All online programs operate affordable tuition rates that disregard residency status. Athens State enrolls 3,500 students in 33 fields of study, including online programs facilitated by Blackboard Learn. As one of the best online colleges in Alabama, Athens State offers students low tuition rates and financial aid, including empowerment scholarships for learners with exceptional financial need. Distance learners pursue certificates and degrees through three colleges. The College of Arts and Sciences offers an online bachelor of arts in religion and a master of arts in religious studies. The latter program prepares students for leadership roles in churches and nonprofit organizations. The degree plan consists of 30-36 credits of classes like history of religion, problems of evil and suffering, and Christian thought in early centuries. Applicants need a minimum 3.0 GPA and score of at least 282.5 on the GRE. The College of Education delivers online bachelor's degrees in technical education. Students pick from four concentrations: instructional design, military instructor, early instructor, and postsecondary instructor. The college also offers an undergraduate degree in educational studies. This 124-credit program prepares students to teach outside of the classroom as corporate trainers, community advocates, and healthcare educators. Coursework includes survey of exceptional learners and technology and media in education. These programs do not lead to initial teaching certification. Through the College of Business, distance learners can access online bachelor's programs in accounting and information assurance. The college also provides undergraduate management programs, including a generalist track and specialized degrees in technology management and acquisition and supply management. Students may choose from 30 online minors and certificates. Graduate business candidates may pursue a master of science in global logistics and supply chain management. On top of required core classes, the 30-credit degree plan contains advanced coursework in either a management or logistics information system track. Applicants need a minimum 3.0 GPA. Those with at least three years of relevant work experience do not need to submit GMAT scores. Based in Mobile, USA enrolls over 16,700 students annually. The university offers 50 undergraduate and 40 graduate programs, many of which students can access remotely through the USAonline learning management system. The school bases its tuition prices on program type and level. All students may access financial assistance, which includes need-based grants through the Alabama Student Assistance Program and transfer scholarships. USA offers an online bachelor of arts and bachelor of science in interdisciplinary studies. This fully customizable program benefits returning students seeking to quickly earn their degree for career advancement. The 120-credit curriculum offers seven concentrations, including administrative sciences, community service, and liberal studies. USA does not specify GPA or testing requirements for undergraduate admission. However, the university generally enrolls students with at least a 2.5 GPA and a score of at least 19 on the ACT or 980 on the SAT. Like other accredited online colleges in Alabama, USA delivers an online RN-to-BSN completion track for nurses with a diploma or associate degree. In addition to prerequisite coursework, the degree plan contains 31 credits in professional nursing classes like healthcare leadership and health assessment across the lifespan. Professionals with nonnursing bachelor's degrees may pursue the RN-to-MSN option. USA also offers standalone MSN and DNP programs in such areas as family psychiatric nurse practitioner, nursing informatics, women's health, and executive nurse administrator. USA operates nine online master of education degrees. Programs include early childhood education, English for speakers of other languages, educational media, sports management, and instructional design and development. Graduate students can also enroll in a master of accounting program. The 30-credit degree plan comprises core classes like financial accounting theory, multi-jurisdictional tax, and analysis using information systems. Applicants need a minimum 3.0 GPA. They must also achieve at least 450 on the GMAT with an Analytical Writing score of 3.0 or higher. Founded in 830, UNA is the oldest four-year higher education institution in Alabama. The university offers 47 undergraduate and 23 graduate programs through its Florence campus and online. Powered by Canvas, North Alabama Online delivers classes, certificates, and degrees. As one of the best online colleges in Alabama, UNA provides affordable tuition and financial support, including endowed scholarships for underrepresented learners and designated majors. The university also offers merit-based awards for transfer candidates. UNA facilitates nine bachelor's programs, including business administration, history, nursing, and political science. Undergraduate students can also pursue a bachelor's in criminal justice. Totaling 120 credits, the curriculum includes major classes like criminology, professional ethics and liabilities, research methods, and a practicum. Degree candidates receive 21 elective hours, which they can use to pursue a minor in crime scene investigation or security and emergency management. Unconditional admission criteria include a minimum 2.25 GPA and at least a score of 18 on the ACT or 940 on the SAT. Distance learners choose from graduate degrees such as family studies, geospatial science, nursing, mathematics, and writing. UNA also provides a master of professional studies that emphasizes workforce development and organizational leadership. Totaling 33-36 credits, the degree plan comprises six core classes and advanced coursework in one of four specializations: higher education administration, community development, information technology, and security and safety leadership. North Alabama Online offers three master of arts in education programs and three post-master's education specialist tracks. The former options lead to Class A teaching certification in Alabama, while the latter ones enable graduates to earn Class AA certificates. Admission requirements differ by program but generally include a minimum 3.0 GPA and one-three years of classroom teaching experience. Candidates also need passing scores on either the GRE, GMAT, or Praxis II subject exam. Based in Montgomery, Faulkner was established in 1942 as a bible school. The university enrolls over 3,500 students in comprehensive academic programs. Faulkner delivers accelerated online degrees through Blackboard Learn. Distance learners benefit from affordable tuition rates that ignore residency status. They also enjoy financial aid opportunities, including merit scholarships for first-time students and transfer candidates. Faulkner offers three associate and 10 bachelor's programs. Options include an associate of science in computer and information science that prepares students for advanced studies or entry-level positions in such fields as software development and business intelligence analysis. The degree plan comprises 65-69 credits and includes classes like database concepts and visual programming. Bachelor's degree candidates can choose from programs in biblical studies, general business, human resource management, criminal justice, and psychology. Faulkner is one of the few online colleges in Alabama to provide a bachelor of science in health and rehabilitation psychology. This 120-credit program prepares students for careers rehabilitating athletes and supporting children with social and learning disabilities. Coursework includes behavioral statistics, physiological psychology, and medical terminology. Freshman applicants need at least an 18 on the ACT or 970 on the SAT. The university exempts transfer students from standardized testing, provided they possess at least 24 transferable credits. The graduate academic catalog contains master's degrees in Christian ministry, elementary education, justice administration, and counseling. Faulkner also offers an executive master of business administration for experienced professionals with relevant bachelor's credentials and a minimum 2.5 GPA. Enrollment begins in September and January. Full-time students can earn the MBA in one year. Doctoral candidates may pursue fully online Ph.D. programs in biblical studies or humanities. Both programs emphasize analysis of complex ideas, preparing students for careers as college educators and postdoctoral researchers. Admission requirements include a regionally accredited master's degree with a minimum 3.25 GPA, three recommendation letters, and a scholarly writing sample. Founded in 1950, UAH is one of three members in the state public university system. The school enrolls over 9,000 students and facilitates 89 academic programs, including Canvas-powered distance education opportunities. Like other cheap online colleges in Alabama, UAH provides tuition prices that disregard residency status. Distance learners also benefit from departmental scholarships and awards for transfer candidates with exceptional academic performance. In addition to an RN-to-BSN track, UAH offers an online bachelor of arts and bachelor of science in professional studies. Designed for nontraditional students with prior college experience, this interdisciplinary program enables them to earn credentials through flexible classes and generous transfer policies. Degree candidates can pursue a generalist track or specialize in organizational studies or leadership strategies and dynamics. While the university does not operate concrete admission requirements for undergraduates, a strong applicant boasts at least a 2.9 GPA and a 20 on the ACT. The academic catalog contains 20 online graduate degrees and certificates. Master's programs comprise information systems, elementary education, cybersecurity, and nursing administration. Distance learners may also choose from seven engineering programs, including one in aerospace systems engineering. Here, students pursue either a thesis or nonthesis degree plan, both of which total 30 credits. They take classes on topics like compressible aerodynamics, hypersonic flow, and system safety. Applicants need a minimum 3.0 GPA and at least a 300 on the GRE (with a 3.0 or higher on the analytical writing portion). UAH provides four online Ph.D. programs in engineering. Nursing students can earn a doctor of nursing practice in 28 months. This program includes 40 credits of asynchronous classes and a two-day campus intensive experience. Coursework comprises clinical data management and analysis, evidence-based practice strategies, and capstone project development and implementation. DNP candidates need an unencumbered RN license and a relevant nursing master's degree earned with a minimum 3.0 GPA. Established in 1967, AUM enrolls nearly 15,000 students in its traditional, continuing education, and distance learning programs. The university delivers online degrees through the Blackboard platform. Distance learners may also access certificates in geographic information systems, teaching writing, and American society and culture. Students benefit from affordable tuition rates and comprehensive academic services, including online tutoring and career development. AUM offers freshman, transfer, and graduate scholarships. The College of Nursing facilitates an online RN-to-BSN track for working nurses with a diploma or associate degree. Full-time students can earn their degree in three semesters. The 30-credit curriculum includes topics like informatics and evidence-based practice, health systems leadership, and rural health and special populations. Applicants need a minimum 2.5 GPA and an unencumbered RN license. Nursing students may earn their master's or doctoral degree remotely. Through the College of Business, distance learners can access two graduate programs: a master of business administration and a master of health care administration. Students can complete the 30-credit MBA program in one year. Healthcare administration students take 33 credits in such courses as data analytics, healthcare marketing, and quality management and integrated systems. AUM business programs maintain accreditation from the Association to Advance Collegiate Schools of Business. The College of Education offers online master's programs for professionals with initial teaching certification. Options include early childhood education, elementary education, and physical education. For teachers with a master's degree, AUM delivers seven education specialist tracks leading to Class AA certification. Experienced professionals seeking careers outside of the classroom may enroll in the master of education in instructional technology program. The College of Liberal Arts and Social Sciences provides online graduate programs in liberal arts, teaching writing, and criminal justice. AUM stands out from other online colleges in Alabama by offering a master of science in homeland security and emergency management. The 36-credit curriculum includes classes like agricultural security, psychology of terrorism and fear, and crime intelligence analysis. JSU was founded in 1883 and enrolls more than 8,500 students. Distance learners access online degrees and certificates through Blackboard Learn. They pay affordable tuition based on program level, choosing from per-credit rates or semester plans. JSU offers financial aid, including state grants and competitive scholarships for first-time, transfer, and graduate students. The online academic catalog contains 11 bachelor's programs, including marketing, business administration, integrated studies, criminal justice, and family and consumer sciences. JSU is one of the few accredited online colleges in Alabama to provide an RN-to-BSN and a BSN-to-DNP program. The doctoral option comprises 12-15 semesters and enables students to pursue tracks in family nurse practitioner or adult-gerontology acute care nurse practitioner. Graduates are prepared to pursue advanced professional certification and state licensure. Applicants need a minimum 3.0 GPA and an unencumbered RN license. Standardized test scores are not required. [email protected] offers additional graduate programs in fields like business administration, computer systems, emergency management, sports management, and public administration. Engineering students can pursue a master of science in manufacturing systems technology. This 30-credit program prepares professionals for management careers in industrial production and logistics. Coursework includes automated manufacturing technology, value analysis, and project development and implementation. Students may earn up to six credits for prior college and job experience. Distance learners benefit from graduate programs in education. Opportunities include conventional master's degrees in elementary education, library media, instructional leadership, reading specialist, and physical education. JSU provides six post-master's education specialist degrees. Options include a clinical mental health counseling program that enables students to pursue either a community agency counseling or school counseling concentration. Degree candidates may also earn an online Ed.S. in instructional leadership leading to Class AA certification. Located in a Huntsville neighborhood called Normal, AAMU is a public, historically black university that enrolls over 4,600 students annually. The school operates 69 academic programs, including online degrees and individual courses powered by Blackboard Learn. Distance learners benefit from affordable tuition and financial aid, such as departmental awards and the Normalite Opportunity Scholarship for out-of-state residents. Like other online colleges in Alabama, AAMU facilitates fall, spring, and summer admission, with respective deadlines set for June 15, November 1, and April 1. AAMU offers an online bachelor of science in management. This 126-credit program provides students with the skills to pursue entry-level positions in private firms, government agencies, and nonprofit organizations. Coursework consists of managerial communications, accounting, finance principles, and organizational behavior and theory. Applicants need a minimum 2.0 GPA and at least an 18 on the ACT or 1290 on the SAT. AAUM delivers three online graduate programs, including a master of science in computer science. Balancing theory and application, MSCS students take 33-36 credits in courses like computer architecture, database management systems, and object-oriented programming and design. Degree candidates complete their training with a thesis and oral defense or comprehensive examination. For educators with a Class B teaching license, AAMU offers two online master's programs. The early childhood education track totals 33 credits and consists of such classes as foundations of multicultural education, computer-based instructional technology, and urban education contexts. The educational leadership (K-12) track comprises 33-36 credits, with coursework in education finance; school community relations; and curriculum development, improvement, and assessment. Neither program requires thesis work. Graduate applicants must possess a regionally accredited bachelor's degree with a minimum 3.0 GPA. Applicants must submit a resume/CV, personal statement, and three recommendation letters. Computer science candidates need at least a 268 on the GRE. Below you’ll find the best online education programs in Alabama, sorted by affordability. Programs at online colleges in Alabama can often lead to stable, high-earning careers for graduates. Students who want to stay in Alabama after graduation can choose programs based on their interests and the projected job market. As of September 2018, the Bureau of Labor Statistics (BLS) estimates that the unemployment rate in the state is 4.1%. This percentage is slightly higher than the national average of 3.7%. On average, Alabama workers across all industries make $20.76 per hour or $43,170 per year. While these figures give prospective students insights into the state’s economy, they do not show the whole picture. Learners should investigate the areas of work that interest them to get detailed job predictions. The BLS also shows which jobs pay the most in Alabama. Different kinds of doctors, including surgeons and orthodontists, make up nine of the 10 highest-paying positions. Other contenders include sales manager, law professor, and petroleum engineer. Must be a dependent or eligible spouse of a police officer or firefighter who died in the line of duty and pursue an undergraduate degree from an Alabama public school. Applicants must attend one of the participating, independent Alabama schools, enroll half or full time in an undergraduate program that is not religiously affiliated. Must be Alabama resident enrolled in a college or university program in order to begin a residential construction career to apply. The candidate must submit transcripts, at least one letter of recommendation from an HBAA member, and proof of residency. Learners who previously attempted at least 15 hours at the University of Alabama, left in good standing, and gained readmission can apply for this tuition grant. Recent high school or homeschool graduates can apply to receive this renewable scholarship worth $2,000-$4,000. Applicants must maintain at least a 2.75 GPA, be U.S. citizens and Alabama residents, and have ACT scores at or below 26. Jacksonville State University offers the Governor Frank Dixon Memorial Award to full-time students who demonstrate academic achievement. Alabama residents only. Applicant should be Ph.D. candidates in Alabama, have U.S. citizenship, no employment outside their departments or disciplines, want to become full-time university staff after graduation, and be from an ethnic or racial minority group. The AQHF awards several scholarships to learners pursuing degrees in fields related to equestrian activities, like veterinary medicine, journalism, animal science, or therapeutic riding. Applicants must pursue degrees directly related to caring for special-needs children. Candidates must be residents of Alabama, Arkansas, Florida, Kentucky, Louisiana, Mississippi, Missouri, or Tennessee. Law students who have been Alabama residents for at least two years, are entering their second year of law school at an accredited university, and demonstrate academic excellence may apply.